An interagency task force within the Obama administration today issued final recommendations for a national ocean policy that would for the first time establish a coordinated system for managing America’s oceans, coasts and Great Lakes. The recommendations are expected to be formalized by President Obama in an Executive Order as soon as today. 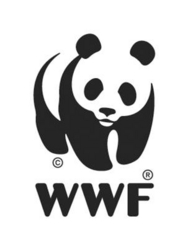 Implementing such a policy has long been a top priority for World Wildlife Fund. “Today the Obama administration took an historic step in conserving the health of the oceans, coasts and Great Lakes for generations to come,” said Bill Eichbaum, WWF Vice President for Marine Policy. “This policy will go a long way toward addressing the major threats to our oceans, coasts and Great Lakes and protecting the thousands of communities and millions of jobs they support. It will also promote a targeted push to conserve America’s most special and vulnerable places, including America’s Arctic. In 2003 and 2004, reports issued by the Pew Oceans Commission and the US Commission on Ocean Policy, respectively, warned that poor management and lack of coordination among federal agencies were threatening the health and economic productivity of our oceans, coasts, and Great Lakes. The Ocean Policy Task Force, which issued its final recommendations today, was convened last year by the President to examine the threats to coastal environments and communities, meet with stakeholders and recommend policy changes. The Executive Order that the President is expected to sign would effectively direct federal agencies to adopt and implement the task force’s recommendations. The new policy would be implemented through a newly established National Ocean Council that would coordinate management activities for US ocean waters, coastal zones and Great Lakes. Marine management under this policy would be “ecosystem-based,” meaning regulation of specific activities, such as oil and gas development, would take into account impacts on the broader ecosystems that could be affected. The policy would also for the first time employ “marine spatial planning,” which would protect ocean ecosystems and minimize conflicts between new and existing ocean uses through science-based decision making and the involvement of stakeholders and the public. In April, William Reilly, WWF Chairman Emeritus and former Administrator of the Environmental Protection Agency, authored an op-ed in Politico explaining the need for a new national ocean policy.